Six months ago Arizona Gov. 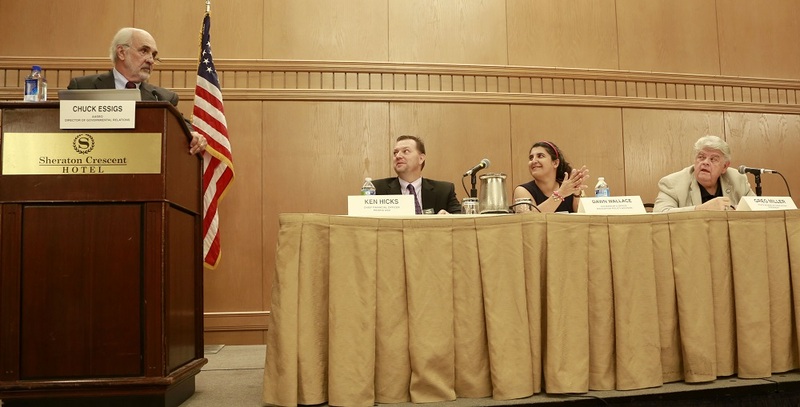 Doug Ducey gave a group of Arizona business leaders a Herculean task: Make funding between charter schools and districts more equitable, and reward districts and charter schools for student achievement, efficiency and innovation, and do it all with a single, simplified funding formula that would apply to both district and charter schools. 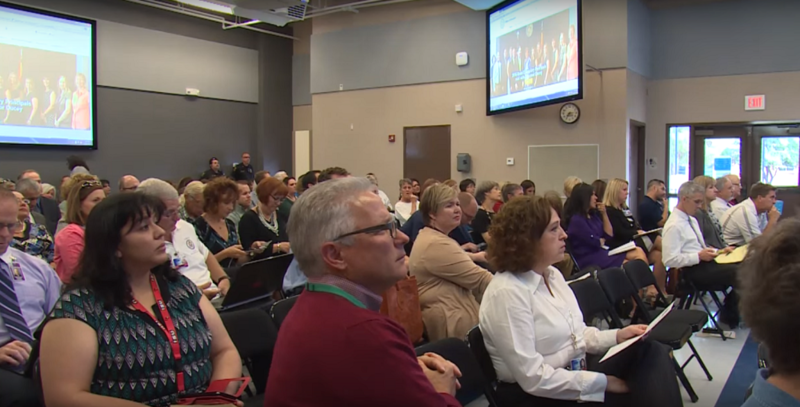 Since September, when Ducey’s Classrooms First Council released its preliminary framework, the council has been seeking input on its recommendations through an online feedback form and public meetings, the most recent which was held in Tucson on Oct. 29. 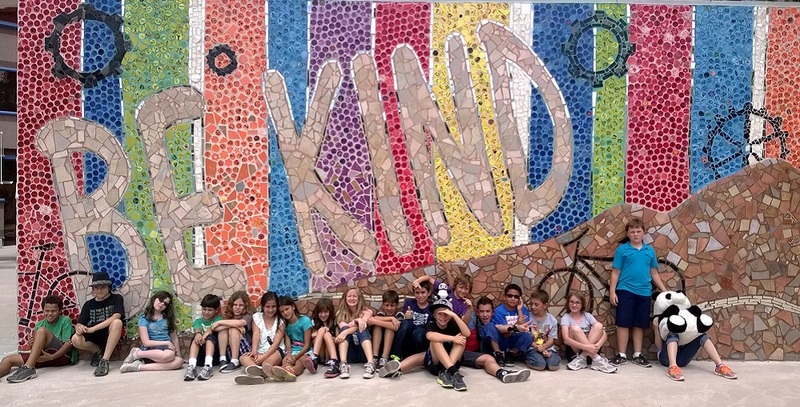 It will present its final report in December to the governor and Legislature before the legislative session begins on Jan. 11, said Beth Maloney, a member of the council and a fifth-grade teacher at Sunset Hills Elementary School in Dysart Unified School District. “That is a tight deadline for the council, made almost entirely of volunteers who just want to serve Arizona’s students and who work regular jobs in the field of education,” Maloney said. 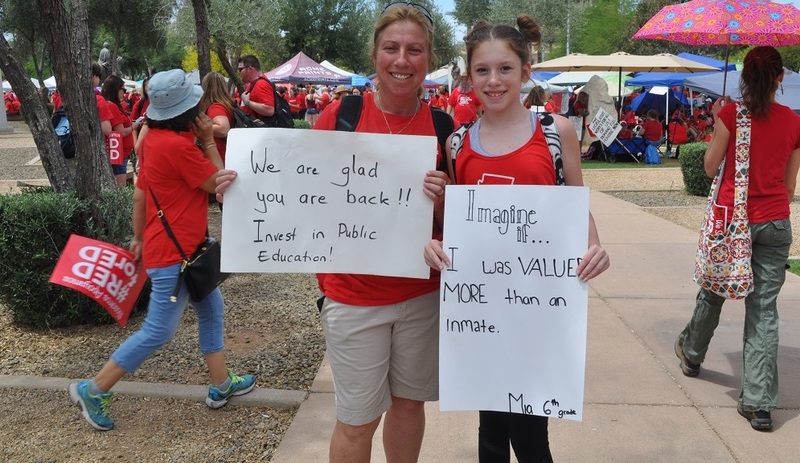 Maloney added, however, that the governor’s goal of ensuring that every Arizona child – regardless of where they live – has access to an excellent education is a worthy one. 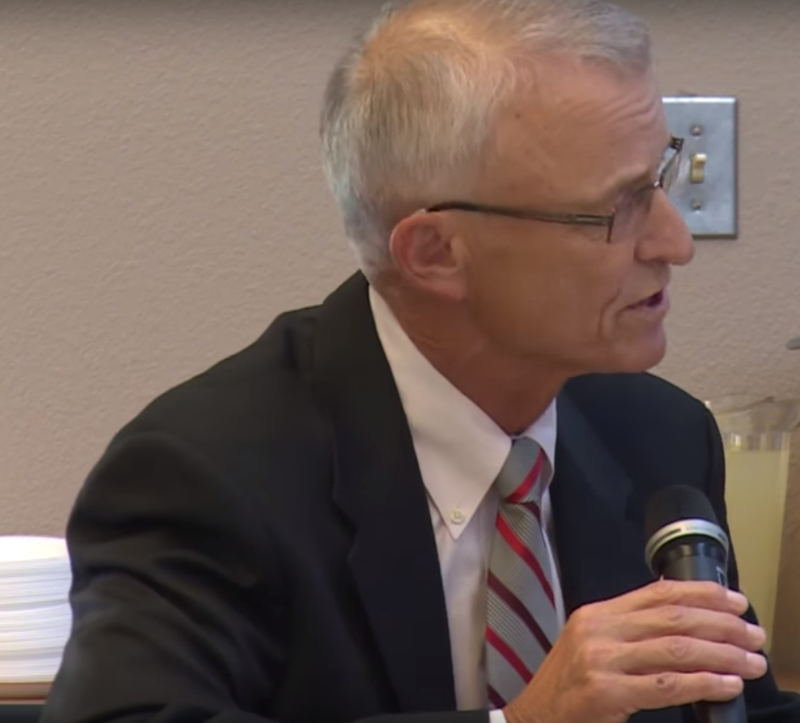 “We need to ensure equity for all students for the sake of Arizona’s future,” Maloney said. Time may not be the only obstacle. The council was instructed not to consider additional funding in their plan. The complexity and diversity of needs is another issue the council is grappling with. While it’s a lofty goal to have a simple funding formula that everyone can understand, it might not be a realistic one, said Ken Hicks, chief financial officer for the Peoria Unified School District and a member of the council. 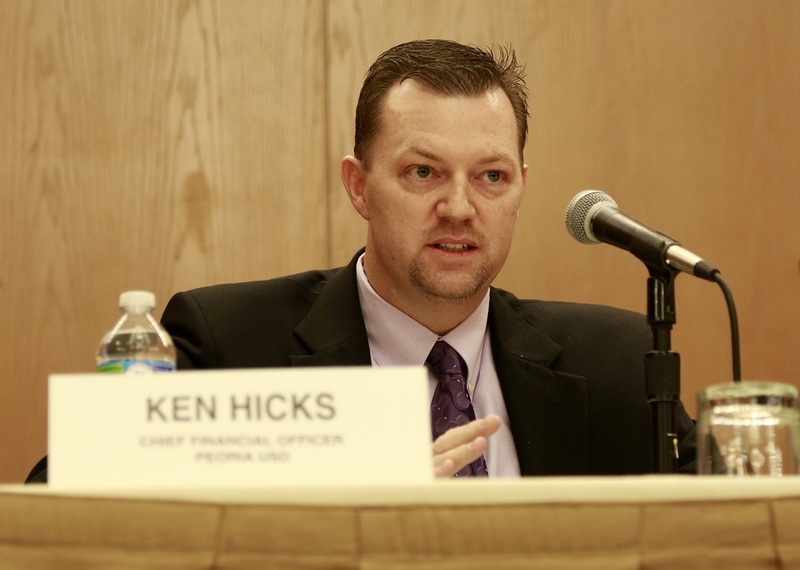 “Every legislative session it’s seems like there’s more complexity and more layers that get added on,” Hicks said at a legislative workshop for public school leaders held last week in Phoenix. Miller, who founded Challenge Charter School in 1996, said he has been learning about and working with Arizona education funding for the past 30 years. “What I found in the last six months, is that I didn’t know nearly what I thought I did,” Miller said. 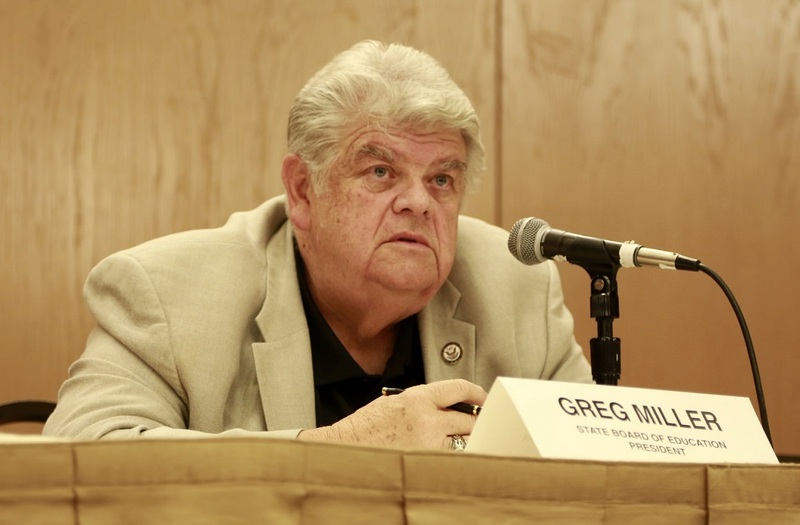 “We need to make sure that we don’t do something out of ignorance or even stupidity that will have the kind of unintended consequences that put all of us at the wrong end of the understanding and implication of what we do with education here in Arizona,” Miller said. The council’s proposed single-funding formula for all public schools includes base level per pupil funding, grade-specific funding, school-type funding for small, rural, and quality schools, additional assistance for district and charter schools, student-specific funding and lump-sum flexible funding. The single funding formula is a step toward Ducey’s goal for the council to ensure that every Arizona child – regardless of where they live – has access to an excellent education. A single-funding formula also “takes the myth that nobody can understand the formula, and it’s very complicated, out of the discussion of school finance,” said Dawn Wallace, education policy adviser to Gov. Ducey, at the legislative workshop. Right now, the state funds basic instruction and operation of Arizona public schools. District funding comes from the state’s general fund, local property taxes, and bonds and overrides, while charter school funding comes entirely from the state’s general fund. 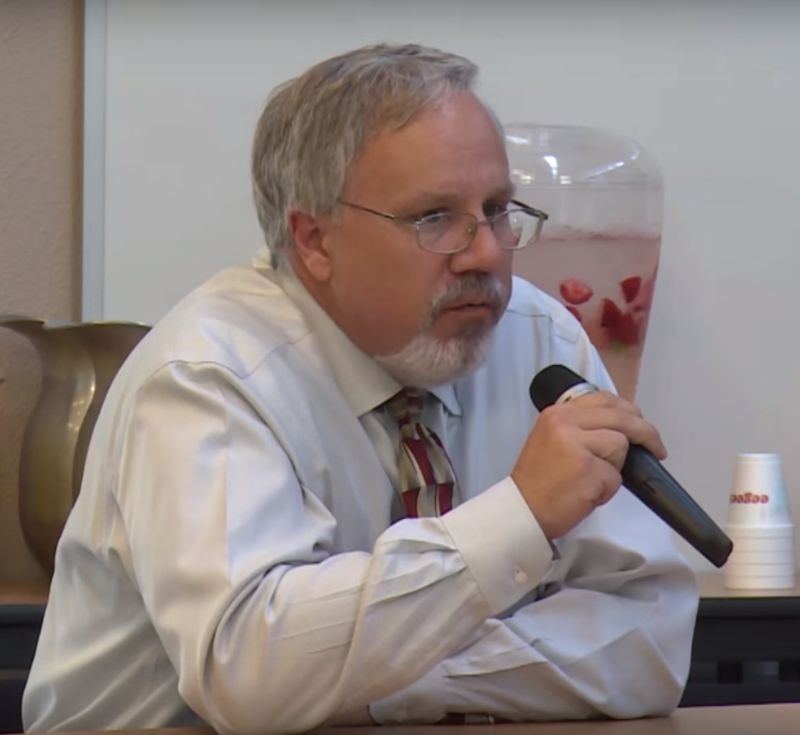 District schools and state-sponsored charters “are different, and thus the funding system for them probably needs to be different,” said Calvin Baker, superintendent of Vail Unified School District, at the council’s Tucson meeting. The proposed plan would give more money to traditional districts, said Chuck Essigs, director of governmental relations for Arizona Association of School Business Officials. Yet the recent success of many bond and override elections showed that the public appreciates the opportunity to vote on whether to give additional money to their schools, Essigs said. “Bonds and overrides are essential to the local school districts and should not be taken off the table until adequacy of school funding is addressed first,” said Scott Little, a parent of students in Tucson Unified School District, during the council’s meeting in Tucson. Arizona has one of the most equitable school funding systems in the nation now, Essigs said. “The best measure of that is Education Week each year puts out a report called Quality Counts where they grade all the states and they give us a B+ for equity, which is one of the highest grades in the country,” Essigs said. Another council recommendation would include new funding for school level achievement. “A” schools, “B” and “C” grade schools showing significant gains would receive more money for their students’ academic outcomes. The additional funds would vary according to degree of low-income students being served by the school – with a 1.0 multiplier for high-wealth schools, a 1.5 multiplier for mid-wealth school and a 2.0 multiplier for low-wealth schools. While not one of their specific charges, the council continues to discuss funding for teacher recruitment and retention. 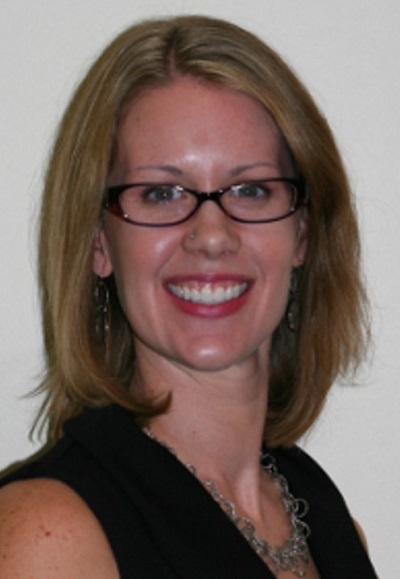 State spending over the past years has lagged, and no one has felt this more than Arizona’s teachers, said Maloney, who also was Arizona Educational Foundation’s 2014 Arizona Teacher of the Year. Johnson said she encouraged the council to recommend that the Department of Education finish streamlining the automated process for teacher certification, and urged the council to increase funding to school districts that can be applied to the salary schedule. Research shows that to attract and retain teachers, states should elevate the profession, pay teachers well, and provide support and training for new teachers, Maloney said. Funding for career and technical education has found its way into Classroom First Council discussions as well. Jeramy Plum, superintendent of Mountain Institute Joint Technical Education District in Yavapai County, spoke to the council during meetings in Prescott and Tucson about the critical need for resolving the JTED funding cuts set to take place in fiscal 2017. That would require repealing the language Arizona legislators put into statute last year. 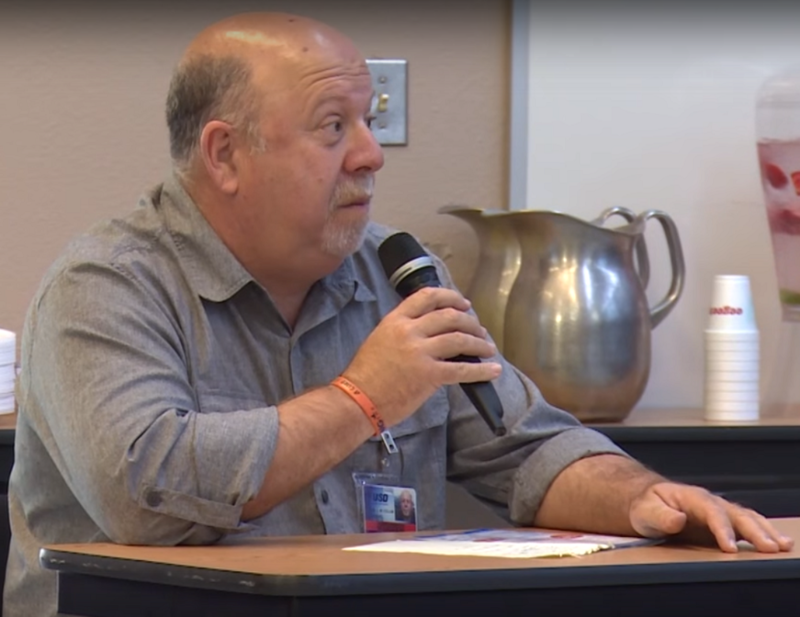 Chuck McCollum, coordinator of career and technical education for Tucson Unified, also spoke at the Tucson meeting and said the reinstatement of this funding is crucial to being able to train students to be able to move into the workforce in Arizona. 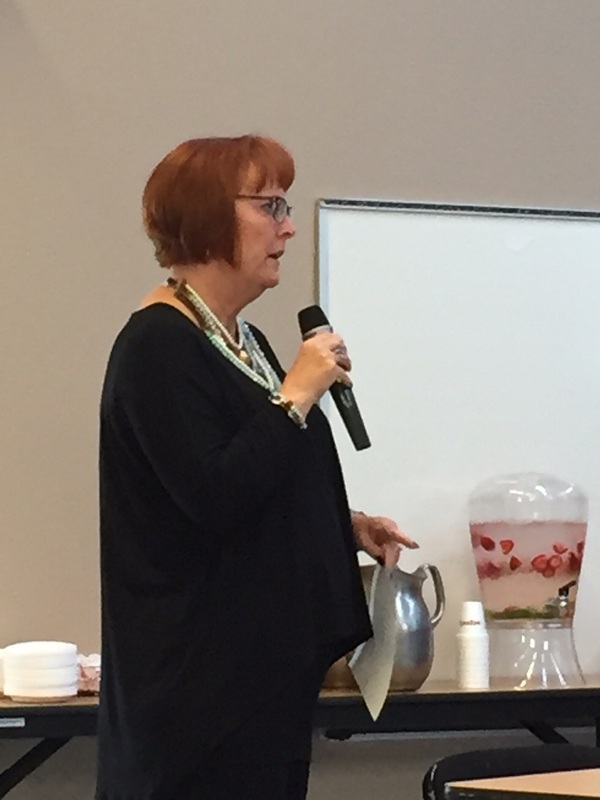 “The level of how we teach it and how we’re able to keep up with what industry is expecting from us will be quite difficult without that funding,” Mc Collum said. At the request of the council, Plum said he and other JTED leaders were asked to encourage their business and industry partners who are talking to legislators to also give feedback through the online form (the council’s public feedback form online), which the governor sees directly. How special education is funded also became an important focus for the council. In its preliminary framework, the council proposes that the state fund special education differently than it does now, by increasing special ed weights and also the extraordinary special needs fund “with the desire to move closer to having students actually have the resources that are dedicated to them in the school finance formula,” Wallace said. 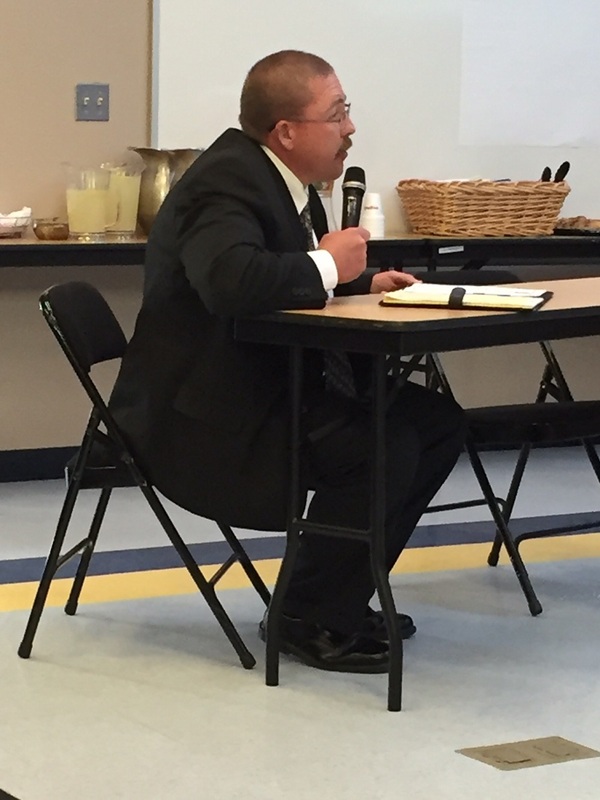 Instead of receiving money for the number of special education students they serve, “they get money based on the size of their district,” Essigs said. Districts also receive funding for special education students who are more costly to educate because of their disability, Hicks said. Hicks said he thinks it would be a good idea to revise funding so that districts are reimbursed for their actual special education expenses. The council had been examining the concept of backpack funding, where dollars move immediately with students from school to school. 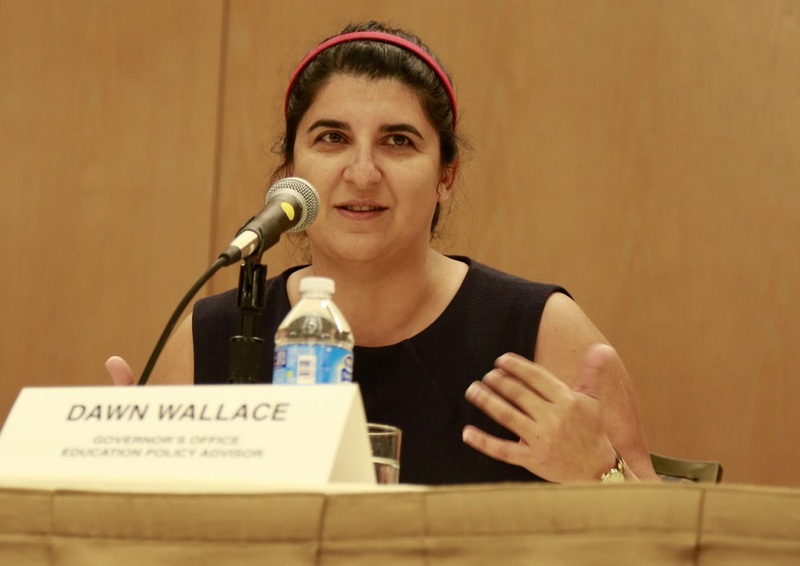 “But as we started to do the research, we started to have the dialog, it was a significant discovery to realize that that concept in today’s system is difficult to achieve because of the disparity in the density of the special education students among different institutions,” Wallace said. In 1980, special education students attended schools in their district and there was some open enrollment, but not a lot, so there was an assumption that special education students were distributed equally among all of the different districts and schools, Wallace said. Miller noted that the percentage of special education students ranges between 6.5 to 8.5 percent in charter schools and about 13 to 15 percent in district schools. Peoria Unified School District spends about $3 million dollars more on special education expenses than revenues it receives, Hicks said. Because of this, the council has recommended “to reinstate the Special Education Cost Study and fund special education at the 2007 recommended level,” Maloney said. The study would examine how much it really costs to educate disabled students and then change the funding formula so it provides schools with money related to the actual costs, Essigs said. State law (ARS §15-236) required a biannual cost study to keep up with the current costs associated with special needs students, however, the study was suspended, Maloney said. The last cost study in 2007 by the Arizona Department of Education’s audit unit showed that special education in Arizona was not adequately funded, Essigs said. Schools districts must provide by law the services mandated for disabled students including physical, speech and occupational therapy and services for learning disabilities, Essigs said. When schools aren’t adequately funded for these costs then they “have to cut money in other areas to cover the costs,” Essigs said. The council “also recommended funding the (Extraordinary) Special Education Needs Fund,” Maloney said, noting that ARS §15-774 establishes the fund to address high-cost students. The the fund hasn’t received any money from the state for the past seven years. Wallace cited an example of a special needs student unexpectedly enrolling in a local school and requiring $100,000 in unbudgeted educational costs. “How can you possibly predictively budget for that? How do you if that student comes in mid-year and you don’t expect it, how can you possibly move dollars around?” Wallace asked. The premise of this fund “is that if you do have that high-cost student that you’d be able to apply for additional dollars so that you wouldn’t have to do that switching of dollars,” Wallace said. The council also proposes to annually publish the student funding formula, create a website for parents to calculate how much their child generates in funding wherever their child is enrolled. “The goal is to locate base funding in one statute for all school systems and to explain what is included in plain language,” Maloney said. 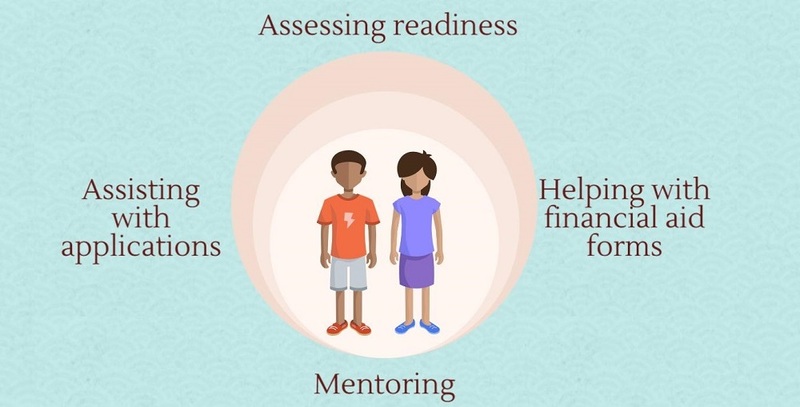 The council has also proposed that school-level budgeting and reporting apply to all school districts and charter schools, include a redesign of annual financial report, revise the uniform system of financial records and require clear, concise reporting of school-level financial data. Hicks noted that districts are already doing school-level reporting of financial data and said it was disappointing to learn people didn’t know about it. “If we’re doing something and nobody knows about it, then we need to do it a little different,” Hicks said. The council has also proposed that the current Office of the Arizona Auditor General’s Classroom Spending report be eliminated and that spending categories be aligned to capture a broader definition of classroom support that includes instruction, and instructional and student support.